The innervation for this continence region is somewhat complex. Dual innervation of the rhabdosphincter has been suggested by several investigators.25,27 Recent work by Steiner and associates using fresh cadaver dissections has provided greater insight regarding the neuroanatomy of the urethra and suggests some surgical modifications that may aid in optimizing continence in surgical patients.28,29 In general, the autonomic component of the urethra is derived from the pelvic nerve and inferior hypogastric plexus. The somatic component is provided by the pudendal nerve. 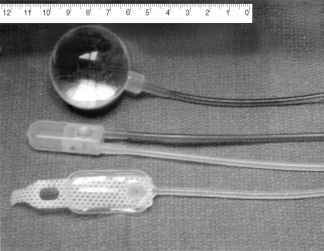 A perineal component, the perineal nerve, provides somatic innervation for the urinary rhabdosphincter. 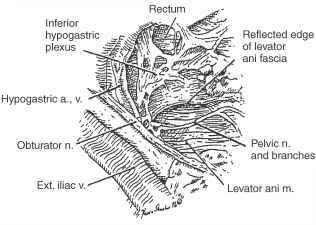 Additionally, as the pudendal nerve heads toward the ischioanal fossa, a terminal branch of the intrapelvic component of the pudendal nerve can be identified, which innervates the rhabdosphincter at the 5 and 7 o'clock positions (Fig. 28.2). Thus, the somatic innervation of the rhabdosphincter is from two components of the pudendal nerve. In addition to structural displacement by general enlargement, there is significant variation in the morphology of the gland at the apex. This is best demonstrated during surgery by downward pressure at the vesicoprostatic junction, which then accentuates the presenting apical anatomy.32 While multiple variations may be encountered, the issue is conceptually simplified by the presence or absence of an anterior apical notch (Fig. 28.4). Intrapelvic branch of pudendal n.
Fig. 28.3. 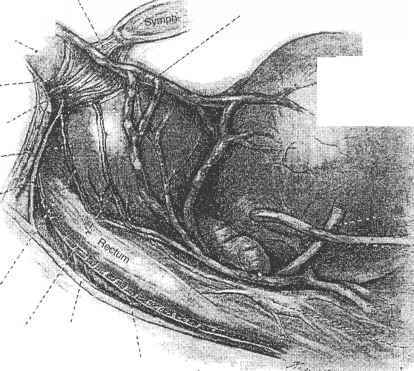 Diagram of pelvic nerve anatomy demonstrating a distinct branch innervating the rhabdosphincter.